Whether you represent an estate agent, insurance company, building society or if you’re a private home buyer – Corstorphine Roofing & Building Ltd can offer you a highly professional roofing survey in the Scotland region, at a very competitive rate. Our wealth of experience means that we have seen it all, and no matter whether you have a commercial or residential property, you could benefit from our specialist roof inspections and surveys. This is also a very important service to use when considering purchasing a property, revealing any hidden problems with the roof and related parts of the building. It also helps to clear up confusion caused by some building surveyors’ reports and provides costing of works needed. 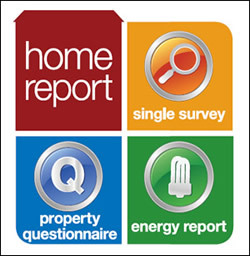 We have a number of reports available from, on site surveyor feedback, to full written reports including analysis, photography and estimated costings. Using our many years experience in the roofing industry, we can guarantee you receive a professional and realistic survey on your roof covering. Should you decide to proceed with Costorphine Roofing & Building Ltd to carry out works detailed in one of our reports, the cost of the initial survey will be subtracted from the quotation provided. To book a survey and potentially save thousands, simply call our office to arrange a suitable time. A member of our team will talk you through the process and advise you on the best report to meet your requirements. If necessary we can aim to get a full written report and quotation back to you within 48 hours of you calling us, ensuring you meet any necessary house purchase deadlines.